After 27 years with AFABC, Jen is moving on to new adventures in retirement. Bring the whole family and come celebrate Jen at her favourite place, the Burnaby Heritage Museum. Join us for a spin on the carousel, have a cinnamon bun or two (they're Jen's favourite!) and take a moment to wish Jen well as she begins her retirement. Have a photo or a note of thanks or well wishes you'd like to share? Send it along to Sarah at sreid@bcadoption.com ahead of the celebration, and we'll be sure Jen gets a printed copy as a keepsake! Your presence is the best present! 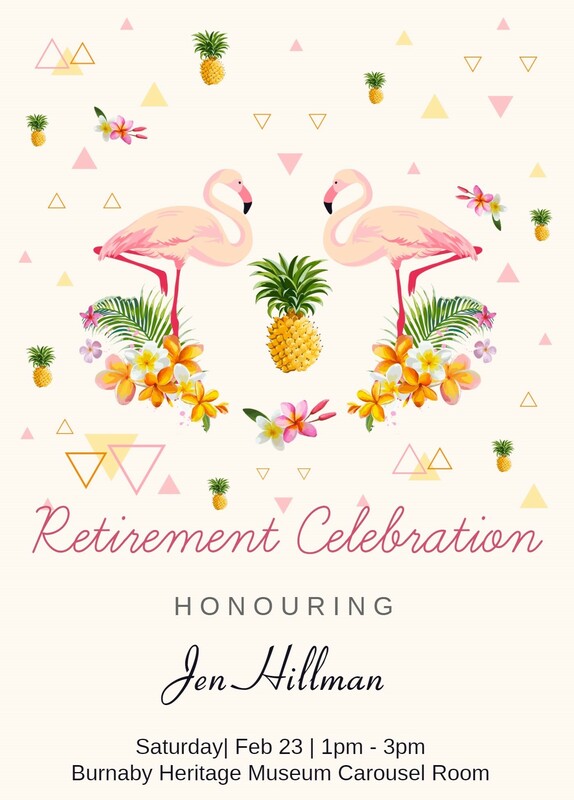 However, should you wish to honour Jen with a retirement gift, she will happily accept donations in her name to support Timberline Adoptive Families Camp. Donations can be made online with a notation to direct your gift in honour of Jen. Or skip over to www.bcadoption.com/donate after completing your registration. See you February 23rd for one last ride on the carousel with Jen!